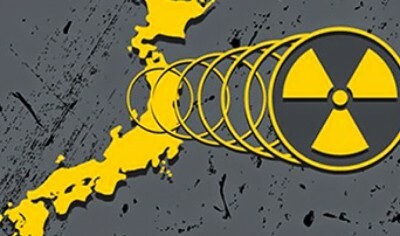 Scientists Detect Fukushima Radiation on North American Shores – Humans Exposed through Seafood Consumption? 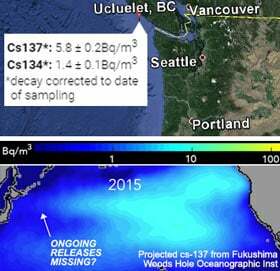 CTVNews, Apr 6, 2015: First low-level trace of Fukushima radioactivity detected off B.C. — But the levels are so low they are likely of little concern… Still, researchers say this is the first detectable of radioactivity from Fukushima found in a water sample taken from the U.S. and Canadian West Coast… Ken Buesseler, a marine chemist at WHOI who has been measuring radioactivity in Pacific seawater since 2011, says it’s been important to carefully monitor the oceans, given that the Fukushima disaster saw the largest accidental release of radioactive contaminants to the oceans in history.